He acted, he directed and produced… almost till the end with his last film “Chargesheet” being released this year when he was all of 88 and still raring to go, as ebullient and ageless as ever. Reviewing “Chargesheet”, a well known critic put against the rating “irrelevant”. It truly didn’t matter by then whether the film was good or bad. The much loved legend had given so much through the years that he was forgiven almost everything. Dev Anand epitomised the suave, urban gentleman who romanced his way through generations of heroines — from Nalini Jaywant to Zeenat Aman. And of course, his charming persona is incomplete without a mention of his hairstyle, the puff a la Hollywood legend Gregory Peck. He ruled the black and white era with movies like “Munimji”, “CID” and “Hum Dono” and then moved into the coloured age with classics like “Jewel Thief” and “Johny Mera Naam”. He provided the launch pad for some of tinsell town’s most remembered head-turners like Zeenat Aman and Tina Munim. Active till his last breath with his film projects, Dev Anand was Bollywood’s true evergreen living legend. He truly epitomised the philosphy of his song “Main zindagi ka saath nibhata chala gaya”. He acted as the lead in more than 110 movies. His 2011 release “Chargesheet”, in which he acted and directed as well, became his swan song. The prolific star also released an autobiography “Romancing with Life” in September 2007. Born on Sep 26, 1923 as Dharam Dev Pishorimal Anand in Gurdaspur district of then undivided Punjab to an advocate father, he graduated in English literature from the Government College, Lahore (now in Pakistan) before moving to the city of dreams Mumbai, where his elder brother, late filmmaker Chetan Anand, was already finding foothold, to fulfill his acting dreams. Like others, Dev Anand too had his share of struggle before embarking on his celluloid journey. He worked as a military censor office at Churchgate at a salary of Rs.160 and even joined his brother, Chetan Anand, as a member of the Indian People’s Theatre Association (IPTA). Destiny, however, had something else in store for him and soon he was offered a break as an actor by Prabhat Talkies to star in “Hum Ek Hain” (1946). It was while shooting for the film in Pune that Dev Anand met Guru Dutt – and was born a friendship destined for greatness. Two years later, the turning point in his career came when he was offered his first big break by Ashok Kumar in Bombay Talkies’ hit 1948 movie “Ziddi”. As it happened, Ashok Kumar spotted Dev Anand hanging around in the studios and picked him as the hero for the film. A genius in his own right, Dev Anand turned producer and launched his production house Navketan in 1949. 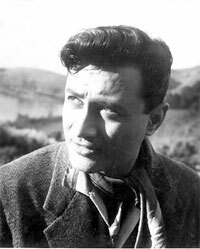 As a prior commitment, he asked Guru Dutt to direct the banner’s first outing – crime thriller, “Baazi” (1951), which made Dev Anand an overnight star and he remained a star till his last breath even six decades later. His good looks turned him into every girl’s dream man, but he himself fell for his co-star and the superstar of the era, Suraiya. Their romance blossomed but met with a tragic end when Suraiya’s grandmother didn’t approve of their alliance and they were forced to part ways. Heartbroken, Dev Anand married his co-star Kalpana Kartik. Picked from Hollywood actor Gregory Peck, Dev Anand’s rapid style of dialogue delivery, his array of hats, jackets and mufflers, and a penchant for nodding while speaking became his trademark. The style was widely imitated even while some cast aspersions on his acting abilities. He proved naysayers wrong with a Filmfare best actor award for “Kala Pani” (1958). His first colour film, “Guide”, which was directed by his brother Vijay Anand, with Waheeda Rehman in 1965, became a cult movie and is remembered as one of his best works. Music remained a highlight of his films. Can anyone forget songs like “Aankhon hi aankhon mein”; “Gata rahe mera dil”; “Hai apna dil to awara”; “Hum bekhudi mein tumko pukare chale gaye”; “Khoya khoya chand”; “Koi sone ke dilwala”; “Main zindagi ka saath nibhata chala”; “Mana janab ne pukara nahi”; “Na tum hame jano”; “Jab pyar kisise hota hai”; and “Dil ka bhanwar kare pukar”. His maiden attempt at direction, “Prem Pujari”, flopped. But Dev Anand got lucky with his 1971 “Hare Rama Hare Krishna”, which launched Zeenat Aman. Later he introduced Jackie Shroff, Tabu and Richa Sharma to filmdom. He was also the first Hindi film actor who campaigned against the then prime minister Indira Gandhi by launching a political party called the National Party of India, which he later disbanded. After the 1978 hit “Des Pardes”, which introduced Tina Munim, his films failed to create a mark. But he was never one to lose heart. And continued making films with energy and zeal. Dev Anand’s zest for life will always be remembered. He is survived by wife, a son and a daughter. This entry was posted on Sunday, December 4th, 2011 at 6:15 pm	and is filed under Meri Awaaz Suno, Newspapers, Web. You can follow any responses to this entry through the RSS 2.0 feed. You can leave a response, or trackback from your own site. Binuji, Yesterday i wrote down my tribute on Dev Saheb but it seems that has been removed . Sir can u give me the reason for removal of my tributes to Dev Saheb. I am unable to understand with due respect to the moderator. Dev Anand had many other beautiful songs by rafi sahib like film guide, tere mere sapne ab ek ranng hain, main zindagi ka saath nibhata chala and of course many many more. Dev saaheb used to talk to us – many mohd rafi fans on his cell whenever we called him. the topic used to be guide, his memorable songs and movies and mohd rafi saaheb. this year was bad as two “sadabahar” heores of ours -associated thickly with mohd rafi saaheb left us along with jasjit singh and our own nawab of pataudi. they have left an indelible mark on the sands of time. true to style dev saaheb asked a caller a mohd rafi fan his age. when the fan told his age as 45, dev anand said : ” I am 25 “…. dev saaheb used to personally answer his mobile calls. mohd rafi fan s used to call and talked to him about our rafi saaheb. dev anand always gave a patient hearing to his fans. dev the karmayogi lived his life – full. Dev Saheb is no more still hard to believe how can a young person of 88 yrs die. will get a chance to other . When he started Navketan He called guru Dutt for directing bazi. which established Dev saheb as a star. He gave break to sahir saheb. He had a beautiful team of S D burman , sahir ludhianvi and rafi saheb. I remember on this 31st July 2011 Dev Saheb had tweeted about rafi saheb as a wonderful person and the gap his death has caused is difficult to fill. S D Burman gave most romantic & beautiful songs with Rafi saheb and Dev Saheb. Tere Ghar ke saamne , Guide, kala Pani , Kala Bazar ,Hum Dono . I think these were Gems . we will talk about Dev sahebs work only as he hated to talk about death and lived life on his terms never compromised on principles . Whether his movie is hit or flop he will make what ever he wants to make never bothered about Box office. He was a great actor who performed his your roll till 40 years, he was great n young Actor from Asia. I love his acting & eager of his abdicates of his skill & art, he was a great tycoon. ” I dont live with my sorrows !”- this quote of Dev Saab inspires us all. Dev Saab shall never die, he has after all nibhaya his saath with zindagi. aur zindagi zinda dili ka naam hai……………………!!! Thanks for writing about Dev Anand, my very first filmi hearthtrob. Absolutely adored him so many years ago. There aren’t any words to describe the way I felt at hearing about his death. In recent weeks, so many deaths have taken place. jagjit singh, Shammi Kapoor and now Dev Anand. These are the heroes for whom our great Rafi Sahab sang those magical songs, and the songs, those carefree romantic days, the moderation with which Romance itself was handled in the movies are a memory some of us cannot bury. They will live forever in our hearts and souls. Dev Anand no more….it is a sad thought and one which has brought tears. But we have to let go. I guess the only way we can do so is by watching those old movies and listening to the timeless songs of Rafi Sahab, Kishore, Hemant and others of that time who sang for our heroes. May the souls of all these wonderful artists who brought us so much joy rest in peace. Ameen. very sad to learn about debonair dev’s death. Still could not come to grips with the loss of the “one” shammi, and now this. Being a die hard fan of rafi sahab, I am also a great admirer of kk just as any other rafi fan. What I am amazed is (I do go to kk da’s site time after time) what is taking the kk fans this long to mention the demise of dev anand on their site? Maybe, they’re too busy figuring out how to be a menace on our rafi sahab’s site? As, much as I love listening to kk’s songs it must be noted that it was dev sahab who brought kk in the play back scenerio and not the self proclaimed superstar of 70’s. before that kk only sang for himself and odd actors, but if any of top rated actors it was the one and only dev sahab. In fact md sdb had to give one song of guide to kk on dev’s insisting. Though kk da sang more songs for dev sahab, dev anand will always be remembered by two rafi gems: abhi na jaoo chhod kar(dev’s favourite as well) and main zindagi ka saath nibhata chala gaya (the life and style dev lived by) An actor with a class RIP Dev Sahab. It is sad news that Dev Anand is no more. He was a handsome guy with a swagger many would be envy of. I am not competent enough to talk about his acting prowess, yes liked immensely two of his films, Guide and Hare Rama Hare Krishna. What Is more admirable about him was his passion for films and he could kept pace with the times both socially and technologically. May his soul rest in peace. 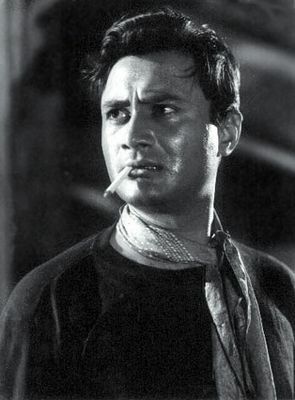 Dev Anand’s death marks the end of a great legend. His style and personality was unique and simple, and no one can take his place in the film industry. In the song, Khoya Khoya Chand, his expressions and acting were simply beautiful. Dev Anand had many other beautiful songs by rafi sahib like film guide, tere mere sapne ab ek ranng hain, main zindagi ka saath nibhata chala and of course many many more.Dev Anand will be missed and his simplicity and innocence will remain in our memories forever.